Welcome to Super 8 Barstow, CA. The AAA approved 2 diamond motel is easily accessible from Interstate 15 north and south. 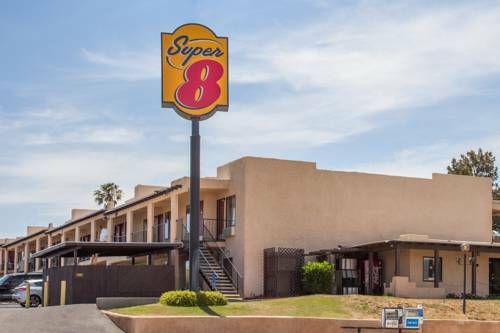 The Super 8 has an outdoor swimming pool, 24 hour housekeeping service, RV/Bus/Truck parking, and SuperStart Breakfast every morning. All guestrooms have free wireless high speed internet, microwaves, refrigerators, coffee makers, iron and ironing boards, hair dryers, alarm clock radios, 25 inch TVs with cable and HBO. We do allow pets for a 10 USD fee per night. Make your reservation today and we will see you soon. Lobby and breakfast area undergoing renovation until April 10, 2013. No superstart breakfast available during this time.